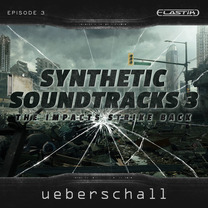 Synthetic Soundtracks 3 delivers a sense of foreboding. With heavy impacts and pounding rhythms, this is a musical futurescope that hits hard. The moods are dark, disturbing, chaotic and always epic. The library contains nearly 1500 loops and impacts across 9.9GB of sample data. Review Sound on Sound Synthetic Soundtracks 3 The quality is consistently high (...). As loop-based libraries go, this is top-notch stuff (…). 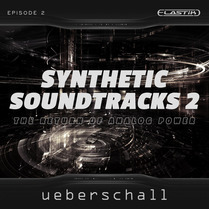 Synthetic Soundtracks 3 delivers a sense of foreboding. With heavy impacts and pounding rhythms, this is a musical futurescope that hits hard. 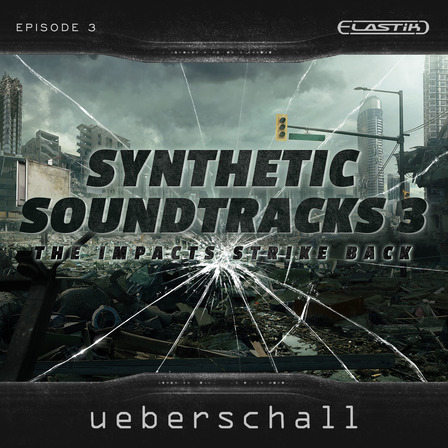 If you need Cinematic Construction Kits to characterize the sound of destruction and ultimate power in a dystopian world, Synthetic Soundtracks 3 nails it. The moods are dark, disturbing, chaotic and always epic. This is futuristic sound on a grand scale. Big, bad, bold and breathtaking. The library contains nearly 1500 loops and impacts across 9.9GB of sample data. Ten massive construction kits each contain 4 musical sections and up to two minutes long. Each musical section offers huge flexibility with loops extending up to 16 bars. Each construction kit also contains an additional folder with dry versions of loops and single-shot drum samples. 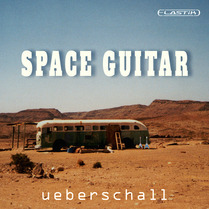 Throughout the library, instruments include analog-style, synth-based, lead, pad, arpeggio, bass and sub-bass sounds. These are complemented by massive impacts, dark ambiences and a range of sound effects. 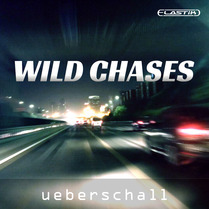 Drums include both pre-mixed and individual loops. These offer acoustic/electric bass drums, sub-bass drums, cymbals, drum SFX, hi-hats and acoustic/electric snares. Additionally, an addon soundbank with industrial rhythms, atmospheres, more impacts and 3D animated ambiences is included. Synthetic Soundtracks Episode 1: Dawn of Analog Power provided the start of an ambitious journey into the universe of classic synth-based film scores. Episode 2: The Return of Analog Power, captured the epic scale of inter-stellar battles. Now, with Episode 3: The Impacts Strike Back, the final installment of our sonic trilogy brings relentless rhythmic soundscapes and massive impacts that will crush all in their path. The moods are dark, disturbing, chaotic and always epic. This is futuristic sound on a grand scale. Elastik is the ideal tool for loop-based music production. The ReTune algorithm gives complete control over scale and key of any tonal loop, polyphonic or monophonic. This way, you can easily combine loops from different libraries. 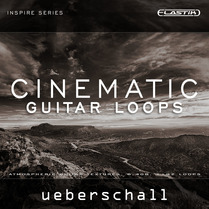 All loops in Synthetic Soundtracks 3 include information about the base key and tempo, making fast searches and immediate song-integration possible.